Beyer Carpet Cleaning San Antonio is a small family owned business. Everyone who works for Beyer Carpet Cleaning is either a family member or a close long time family friend. Beyer Carpet Cleaning is all about family. They believe in God first then family. No matter if they have had a long bad day dealing with customers or company issues they always come back together the next day with a fresh start ready to tackle whatever comes their way. 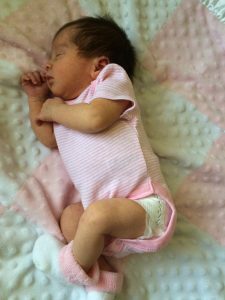 Beyer Carpet Cleaning would like to always keep their family involved in their business. Joshua and his wife , Christina, have been married 8 years and have 3 beautiful children. They work together and play together. When its time to take care of business they take care of business and when its time to play they love hanging out by the pool or beach. They believe in fair pay for their employees and equal time off. If their technicians or administrators need time off at the last minute due to family issues then they are eager to jump in and pick up the slack. As mentioned above God first and family second and they keep to this motto no matter what! 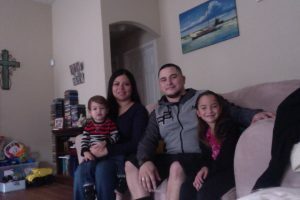 The owner of Beyer Carpet Cleaning, Joshua Beyer, has worked hard to maintain a reputable business in San Antonio. He believes that very customer deserves a fair price when it comes to carpet cleaning, tile and grout cleaning, and upholstery cleaning. 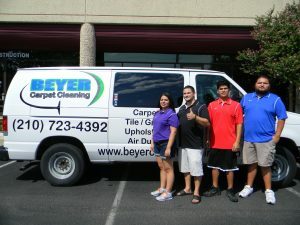 Over the years having to hire carpet cleaners themselves the Beyers realized how overly expensive carpet cleaning can be. Now they know that a business has to make enough to stay afloat and to pay for the expenses that arrive when traveling to a persons home to clean but charging an arm and leg to have it done certainly wasn’t fair to them. So upon opening the company the Beyers agreed to always have lower prices then the leading competitors, especially the big corporations. Although they are a family owned business they provide the same professional cleaning a big time corporation would. They use the same type of equipment and materials as the big guys use and are always professional when they come to your home. They believe on passing on the savings to their customers. Their loyal customers get even a better price. Loyalty means perks but you don’t have to be a “loyal” customer to get a great deal. Their prices will always be low and they will always be upfront with their customers on any additional charges. If you use this family owned carpet cleaning business you will not be disappointed. No matter how big or small the job is Beyer Carpet Cleaning is prepared to offer a great price and is ready to tackle the job.